Submitted by Simon Coleman on Thu, 26 Mar 2015 - 20:19. 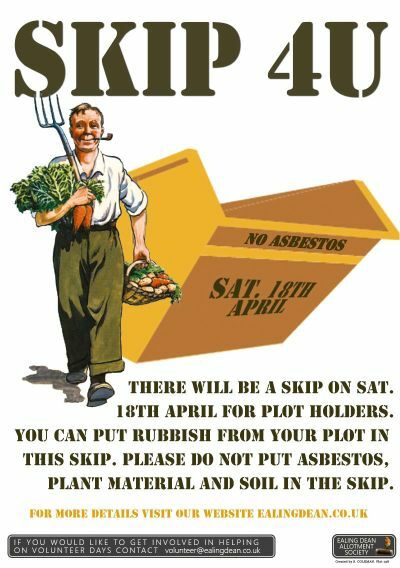 We request that wood, soil and plant material should not be put into the skip and can be disposed of on your plot by fire or composting. There are some items which are not allowed to go into skips. They are listed below. The skip should be on site by 10am on Saturday. It may be earlier but the depends on the other deliveries that the skip company have booked that morning.